A ship is freedom, as a certain movie pirate once told us, and he was right. 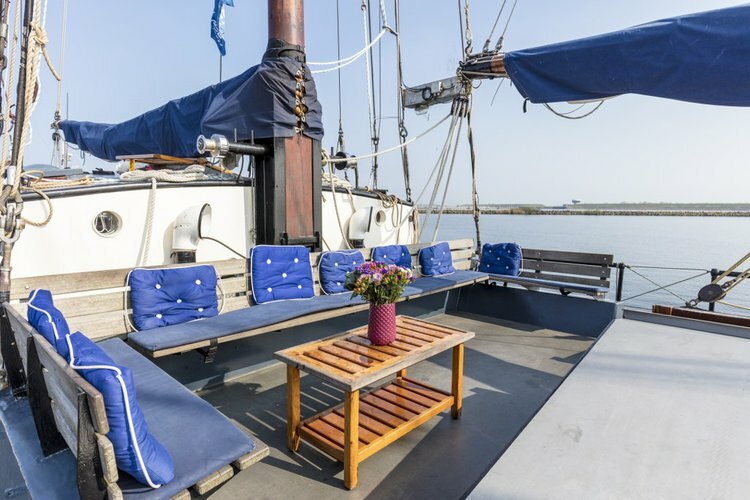 Setting sail on the Dutch waters will give you the choice to either relax and enjoy the peace and quiet or actively participate. 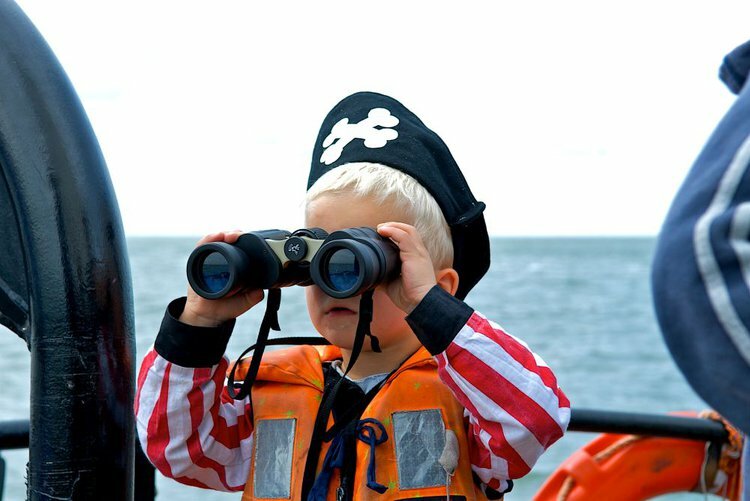 There's lots of activities on deck and ashore, if you feel like visiting a harbour town or an island. Spending time on deck means sniffing up the fresh air and enjoying exposure to the elements. This can be a relaxing or an active time, as you're allowed to help the skipper. 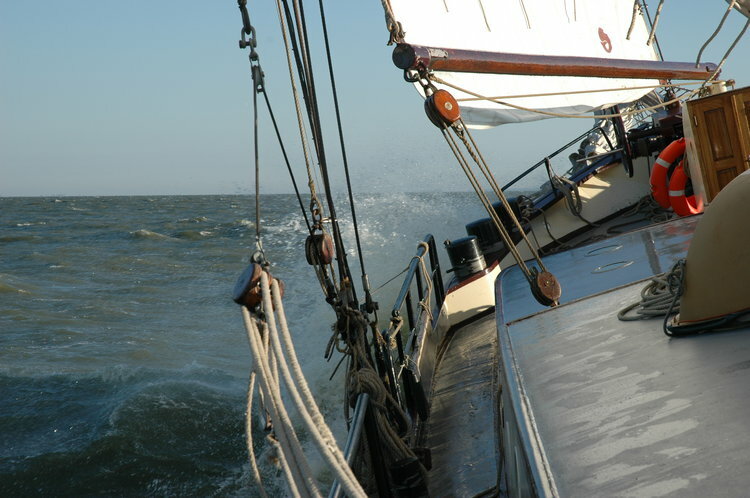 The calming effect of the water will refresh you, wether you choose to relax or help with the sails. 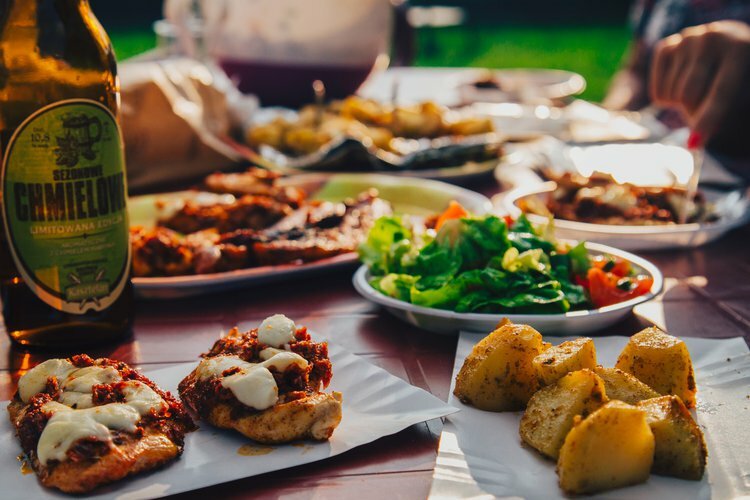 Of course, there's room for a bite and a drink, a party game or a book. Once you've set course, there will be some time to kill and it's up to you wether you choose to do that on deck or around the kitchen table below. 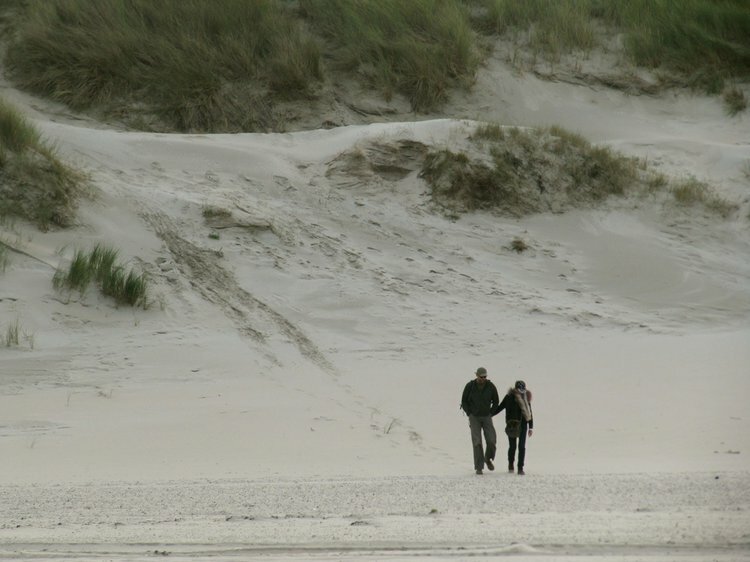 Depending on the wind, the tide and the duration of your trip you can sail on the IJsselmeer, the Lakes of Friesland or the Frisian Islands like Terschelling. During your sailing trip you can go ashore for wonderfull hikes and bike tours, visit the museums, villages and dunes or climb a lighthouse. Alternatively, navigate the Lakes of Friesland: you'll sail amidst typical Dutch meadows and find you'll have a little less privacy as the cows will be staring at your passing. If there's anything specific you'd like to visit during the trip, let us know. We'll make an effort to make it happen, within the limits of wind, tide and weather. Since the ship is fully equipped to stay on, it'll be your floating hotel, so to speak. Presumably, you'll be spending most of the time on board. There's a good chance that sooner or later, you'll be feeling peckish and before long you'll worked up something of an appetite. That means you can head to the galley and you and your group can show off your culinary skills. The ship´s kitchen is well-equipped. Check the ship´s pages for specifics. Don't have any particular cooking skills? We can take care of you. Might we suggest you look into our catering options? Well, of course you can bring the children! 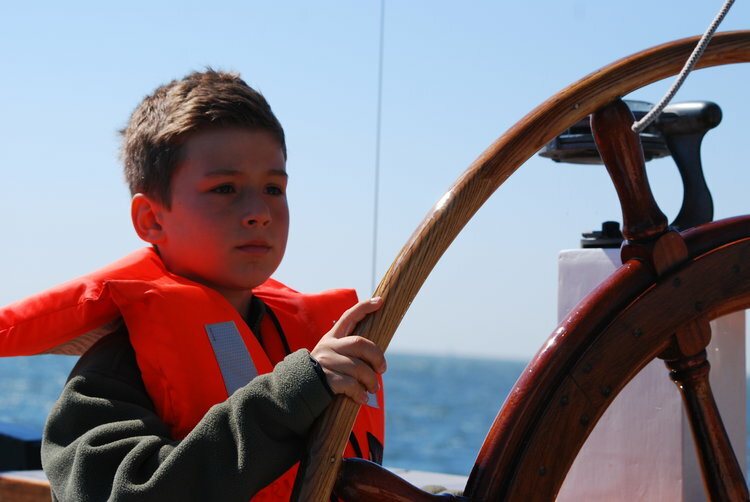 Our sailing trips are suitable for guests of any age, and our skippers have plenty of experience with children on board. If you're planning on bringing the family, they're all very welcome. Which ship will you choose?